Hello again. Oh, what a crazy hectic time! I’m off to Bundanon in less than a week, and because of its remote location (nearest shop thirty minutes away and no live-in cook like at Varuna), I have a huge checklist of things to do / find / pack before the weekend. I’m really looking forward to having time to get back to the memoir – I’ve hardly looked at it in recent weeks. I managed to read the Varuna blah, and what an experience that was! I was exclaiming as I read through it, and my life made much more sense to me afterwards. The best thing is that it contains heaps of good material to merge in with the current draft. Emotional truths. Which is just what the memoir needed – so thanks to my HarperCollins editor, Anne Reilly, for that suggestion. Writing from the heart is something I’ll be doing first, not last, when I start on my next project. Hello again. This post is about distractions, which can be dangerous for writers, and which have recently engulfed me in a big way – even though I’d resolved to be more focussed and dedicated; prepared to spend long hours working alone in my room while declining the more immediate gratifications that life threw my way. Some distractions, of course, are valid – my mother is due to go into hospital to have a knee operation soon, and I’m pretty distracted by that because three and a half years ago my father went into hospital to have a knee operation and never came out again. I’m also feeling crap after a too-short haircut, and have had some busy times over the school holidays with kids and birthdays and so on. Maybe there was something in the stars last week because I heard several people say they reached record lows, but that’s the way it is sometimes – you need the lows before you reach the highs. So last Monday night, feeling sad and sorry for myself (and super-ugly because of my haircut), I moped around the house, trying to work out why I was so miserable. I’d organised a catch-up session with my neighbour and fellow writer, Jim Vicars, but felt too fragile for visitors, so I texted Jim not to come. But he rang and insisted on coming anyway, so I had a bath and laid out a fresh tablecloth and lit candles and found the last of a bottle of whisky in the cupboard and put two delicate gold-rimmed glasses on the table … and by then I was starting to feel a little better. It was Chinese New Year and that was something worth celebrating. Hello again. Well, I’m heading off for my retreat at Bundanon next February. So soon! I was relieved to hear back from the Arts Program Manager – it was starting to feel like a dream, and I was wondering if they’d made a mistake and sent the congratulatory email to the wrong person. But no, I really am going to be an artist-in-residence at the Writer’s Cottage by the river for two weeks. Phew. An added benefit is that I have a new incentive to work towards. By the time February rolls around I want to have finished cutting / editing the current draft of the manuscript, re-written some important sections, and to have fitted parts of this draft onto a good strong outline that shows the peaks and troughs of the two main narrative threads in the memoir. Then, two weeks of solitude at Bundanon (such a luxury, even if I do have to cater for myself and the nearest shop is half an hour’s drive away) will provide the perfect opportunity to re-write the Varuna blah and go deep into the heart of this memoir. All going well, by the end of February I should have a complete draft of the re-worked manuscript. I’ve been making slow and steady progress with the cutting / editing, but it’s easy to get caught up in the hurly-burly of pre-Christmas parties and social gatherings. Maybe it was an important and necessary part of re-discovering who I was after being in a relationship for such a long time, but I’ve socialised way too much over this past year, especially in the last weeks. I’m starting to feel like I need to cut the distractions and go inwards, like a woman about to give birth. Last weekend, in The Sydney Morning Herald magazine, author Elliot Perlman featured in the ‘Getting of Wisdom’ section. I liked what he said about dedication: ‘Everybody you know might be out having fun while you’re alone in a room working, but I’ve learnt that if you want to achieve anything worthwhile, you have to get good at declining the more immediate gratification.’ That’s what I need to do, especially over the next seven weeks; start saying ‘no’… a small but powerful word. The other night, however, when I was out socialising at the Armidale Club, a local venue for live music, I caught up with one of the Iron Men from the welding shed. Because we’d both had a couple of drinks, we talked more that night than we had in the two years I’d spent working alongside him at the shed. I told him I was editing the book, and asked him what pseudonym he’d like. He couldn’t think of one. No nickname? I asked. He said no, he just wanted to use his own name, and was proud to do so. He mentioned one of the early chapters I’d shared with Bernie and the boys; although he hadn’t agreed with something I’d written, and thought I had it a bit wrong, he still loved it. It is what it is, he kept saying, and he liked the way I presented the world at the shed, a world that not many people got to see. His words reminded me of a comment I’d heard recently when I’d popped in at the shed to give Bernie and the boys an update (I’m sure they never imagined writing a book could take so long). 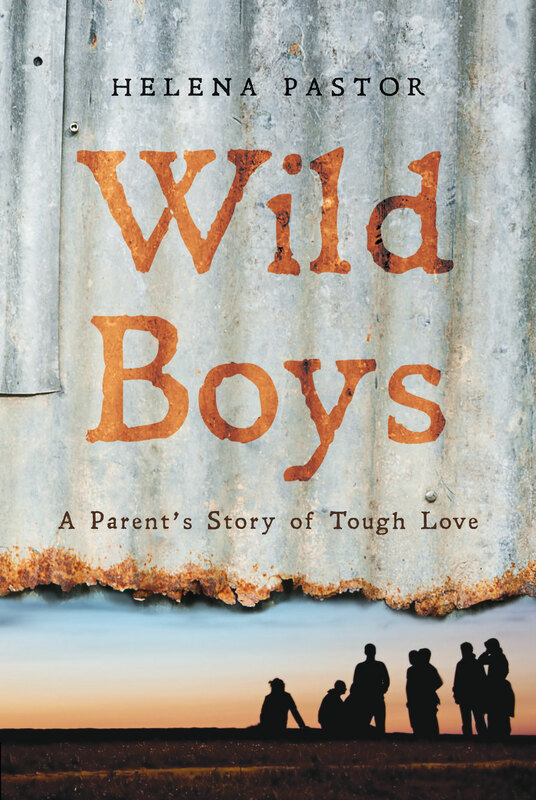 On that day, one of the boys had said he liked the book because I ‘tell it how it is.’ As you know, this memoir has won me a few awards over the years, but to hear that comment, and to know my writing means something significant to the boys involved in the program… that means a lot to me. It’s true – the reward is on the other side of the wall. And all the parties, and dinners, and nights out dancing at the Armidale Club will not help get this book written. As my friend Edwina Shaw says: ‘Retreat from the world without regret.’ That’s what any creative-worker needs to do to make it over the wall. During the school holidays, I have three one-week blocks of time to myself, and I’m going to use these constructively. There’ll still be time for swimming in the river at my friend’s property, singing with my choir, watching romantic comedies, spending time with my children and occasionally catching up with friends – but mostly I’m going to be here, alone in my room, working. Getting the job done, and preparing for my time in the Writer’s Cottage at Bundanon. Hello again. I’ve been thinking a lot about my sister lately, and about the huge influence she had on me as a child. Nine years older, she was like a second mother … a cool ‘hippie’ version of a mother, though, in her velvet hotpants and floppy felt hat. We lived in an old bakery house and I hung out with her a lot. Her bedroom door was covered in posters, and some were what we’d now call ‘affirmative messages’. I often think of those posters. I’d read them over and over, trying to make sense of what the words meant, never really understanding. One was: To see a world in a grain of sand / and a heaven in a wild flower / hold infinity in the palm of your hand / and eternity in an hour. What the …? Another proclaimed: Today is the first day of the rest of your life. That also had me stumped at the time, but I sort of get it now, and it is exactly how I felt yesterday when I began re-working the memoir. Yes, the time has finally come! It’s been a long break from the manuscript, but maybe I needed it. The problems in the work are so clear now; for example, the flat-line narrative of one of the threads in the story, how there is too much dialogue, how I need more reflection, and how large sections need to be cut, cut, cut. Back in September, I did a read-through with a pencil and noted where things needed to be cut or changed, but I just hadn’t been able to face it until yesterday. Probably because the past year has been full of emotional highs and lows – or brights and darks, as Judith would say – and I didn’t feel strong enough. But I do now. And it’s exciting! With my read-through notes beside me, I’m going through the draft on the computer, cutting and editing, and new thoughts and connections are already starting to happen – and it’s only been two days! This is the first step in re-working the memoir into a loose five-act structure. As I’ve mentioned in a previous post, the current manuscript – drastically reduced – will form Act Three, Act Four and the first half of Act Five. Then I’ll go back to the ‘Varuna Blah’ – I’m ready now! – and use parts of that to write Act One, Act Two and the last half of Act Five. Can I do all of this before April, so I can submit the manuscript to HarperCollins? Yes. I’m going to meet my deadline. In fact, I will get a final draft to Anne and Judith some weeks before that. The time is right. I’m strong, I’m ready, I’m back … this time for good. I’ve suspended my PhD for seven months – as you know, the memoir forms part of my PhD so it’s not like I’m going to stop working on it or doing my reading for the exegesis, but stopping the clock has given me the breathing space I needed. Why has all this come about? Hello again. I’m back, after what feels like a long time in the wilderness, and guess what? I have begun the re-working / re-writing process …what a relief! I’m on my way, I faced the dragon and now I know I have the strength within me to continue and get the job done. I must admit, though, that I went through another long period of feeling totally overwhelmed and inadequate; wracked with guilt because I was spending too long in the ‘writing without writing’ phase. That’s why it was so good to chat with Anne Reilly, my HarperCollins editor, a few weeks ago. I needed to hear her voice, to be reminded of her belief in me, and her enthusiasm. The Varuna HarperCollins Residency was starting to feel like a distant memory. Did I tell you that Anne’s parting words were: ‘Keep the faith.’ Yes. It’s taken me another couple of weeks, but I’ve drawn up the rough map for the new draft, and have also re-read the manuscript – where I was able to see the problems with fresh eyes – and now I fully understand what needs to be done to make it a publishable manuscript. I can do it. Last week, after I finished the read-through, I had a ‘phone-meet’ with Judith Lukin-Amundsen, my Australian Society of Authors Mentor, and we discussed some of my thoughts on the process. As always, Judith was very affirming, and commented that my idea for the new draft’s preface was ‘a piece of genius!’ I think I need to write that up in big letters, and put it above my desk. I told her how the idea had come to me on one of my walks – ‘It was like magic’ – and she said the time-span in between when you’re not working on a manuscript is invaluable, and that I didn’t need to feel guilty. You only get a certain number of chances to see the writing with fresh eyes – and that’s after a long break, and when the manuscript is in the typesetting stage. It was just as Mandy Sayer said: ‘“Writing without writing” is a process that allows the imagination to wander freely; to make unconscious connections between narrative possibilities…’ It really works. My new goal? By April 2012 I intend to finish the final draft, and have it ready to submit to HarperCollins. However, because I have such a great deal of work to do, I’ve been seeking opportunities that offer quiet writing / thinking time so I can achieve my goal. The other night, I caught up with my neighbour and fellow writer, James Vicars, who had just returned from a two-week NSW Lit-Link Fellowship at Varuna, and was full of stories. Along with relishing the time and space to think and write, he also commented on the rarity of having four other writers to sup with each evening, and the richness of the conversations they shared. As I listened to Jim, I thought to myself: I want to go back to Varuna. 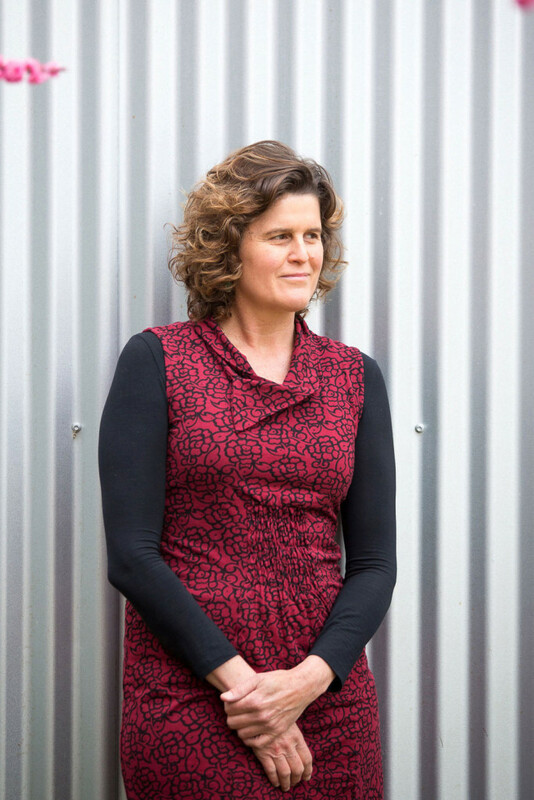 It had been cold, grey and rainy for weeks in Armidale – typical end-of-winter weather – my days filled with rotating the racks of washing around the fire, chopping wood, cooking dinner, housework, family commitments, tutoring … the writing side-lined. Chatting with Jim, I realised that opportunities for retreat are essential, because sometimes the writing just has to come first. I left his house more buoyant than I’d been for weeks, and since then I’ve applied for a Varuna Fellowship, a residency at Bundanon, a Writing @ Rosebank Fellowship, and a position as an emerging writer-in-residence at the Katharine Susannah Pritchard Writers’ Centre. Surely one of these opportunities will come through. I’m very fortunate to have another writer living just around the corner, and Jim and I meet regularly to discuss the writing life and the health benefits of vodka. I’ll finish this post with an excerpt from a letter of support he wrote for me recently (for one of my retreat applications): ‘Helena has been a companion on the writing path since 2008 when she encouraged me to take my writing seriously. Her encouragement was followed up by the questions: ‘Why not? What’s stopping you?’. Asked with a genuine warmth and sense of potential, these encapsulate her positive approach as a writing mentor. While Helena knows we all have difficulties and obstacles to overcome as writers she always has a sense of what the next step might be and that one can always move forward in one way or another.’ Thanks, Jim! Hello again. What a month it has been. No, it’s not what you’re thinking . My index-card box is still empty; I haven’t written or developed any further scenes. In fact, I’ve hardly looked at the manuscript. What’s going on? Well, I think I’m in the ‘writing without writing’ stage. In a recent ‘Writing Class’ article in Spectrum, Mandy Sayer says that the ‘art of “writing without writing” is a process that allows the imagination to wander freely; to make unconscious connections between narrative possibilities without the pressure of producing a consistent tone, a tight prose style, beautiful sentences and startling metaphors.’ Not to mention a full box of index-cards. Recognising that I’m in a kind of ‘pre-rewriting’ phase has helped me understand that I’m nowhere near ready to put scenes onto index cards. There are many other things to do before I reach that next phase in the development of this memoir. Also, if I’m honest with myself, I recognise that a large part of my ‘writing without writing’ phase is due to fear. The task ahead remains overwhelming at times, especially as my marriage ended ten months ago, and I’m less than five months away from submitting my PhD. The other day, seeking some reassurance, I rang my HarperCollins editor, Anne Reilly, and together we worked out three simple steps to help me ease into the task and dispel some of that fear. Step one is to sketch out yet another map – almost a statement of intention – of what I want the re-worked memoir to be, and to see that map as the bones of the story; second step is to read over the memoir draft as it currently stands and fit parts of that draft onto my map, and see it as adding flesh to the bones; step three is to go back to the ‘Varuna blah’ and match parts of that to the map in the same way. Anne believes that these three steps will enable me to merge the old draft with the new (without freaking out). The windows at my favourite coffee shop are large, and slide across to allow outside and inside to merge. At the end of each shift, the glass needs to be wiped clean of sticky fingers and handprints. Late, on the Saturday morning my father died, I walked past this coffee shop and saw a friend, who worked there, cleaning the windows. I think I was still in shock. I’d been shopping: first to Kmart to buy a new bra and some underpants to wear to the funeral (these items seemed terribly important that morning), and then to Darryl Lea to buy dark ginger chocolates, my father’s favourite. When I saw my friend, I stopped and said hello. ‘My father died this morning,’ I told her. She leant through the window and hugged me. Hmmm … interesting what goes on inside us, eh? I read my piece to the students because even though it’s very simple, I like it. It showed me that I miss my father more than I thought, and that his death is still just under my skin – even though it’s been over three years. The piece was probably a little heavy for the students – they wrote about happier memories of places – but gee, it was good to be in a room where so many young people were writing and openly sharing their work (and who all listened quietly as one older person shared a piece of her heart). I think we’re going to have fun.